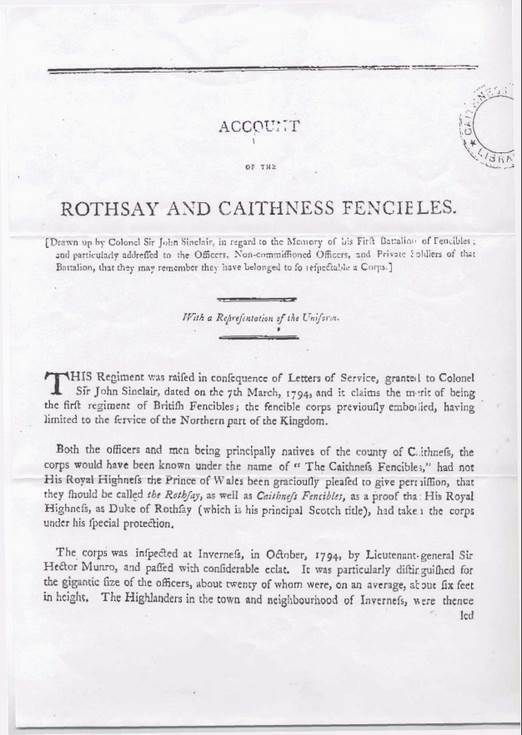 Photocopy of account of the Rothsay and Caithness Fencibles drawn up by Col Sir John Sinclair. 4 loose sheets. Is it possible to obtain a photo copy of all four pages?